Hi Friends! I’ve been under the weather this week, but I’m glad to be back today with a new edition of “Bloggers at Home” featuring Virginia designer, Anna E. Lee. Anna’s home is calming and neutral, while filled with intriguing texture and style. This home tour is also further proof that neutral doesn’t have to be boring. Let’s get to know a bit more about Anna, her home, and her personal style. I am a recent college graduate of Marymount University with a degree in Interior design and plans of someday starting my own business as an interior designer and professional organizer. My mission for my business is for my services to bring beauty and functionality to a space while empowering the lives of those living in it. 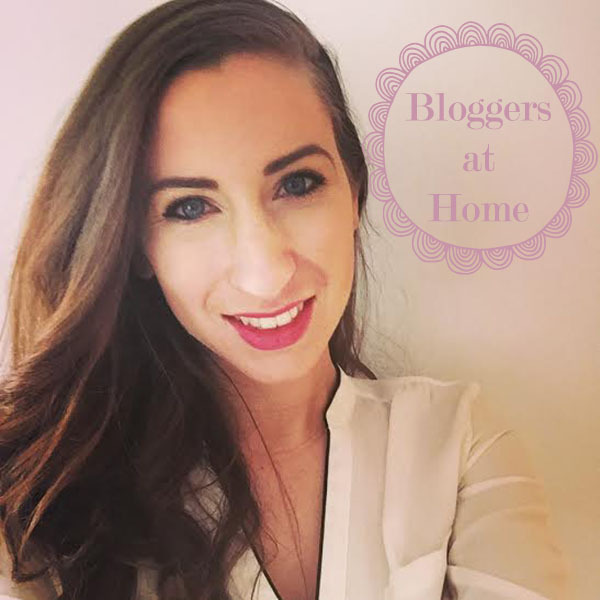 I started blogging in 2012 when I began my degree in interior design. It was initially a way to impress design firms that I planned on applying to for internships and post-college jobs, however the more time I spent researching blogging, and, after seeing so many of the amazing blogs out there, I decided to change gears. I now use my blog as a place to share my passion for interior design, organizing and empowering others. Anna: While I appreciate a range of styles I would describe my overall style as “California Chic” – a mixture of Old Hollywood glamour, Bohemian Chic, and an overall sense of easiness. I love the layering of materials, texture, and pattern to create depth and interest to a space. Though I enjoy the use of color, I personally prefer the color scheme of black, ivory, brown, and warm grey. I just think they are such chic, classic colors, that you can do so much with. Sunlight, candles, and fresh-cut flowers are also a must. Jacquin: What is your favorite décor possession? Anna: One of my favorite décor possessions is my Verona 6-shelf World Market bookcase that my husband and I received this past year as a house-warming gift. I had been eyeing it for a few years, with the hopes of someday bringing it into my home – so I was absolutely thrilled to get it! Along with the quality, I love the color and lines of it. I enjoy displaying books and special décor (i.e. pictures, pottery, & shells) on it. Jacquin: How was your experience decorating your home? Did you learn anything during the process or experience any difficulty deciding your design elements? Anna: My husband and I have had so much fun decorating our apartment, since moving into it just over a year ago. I have to admit that I was initially a tad overwhelmed, as I didn’t want our first place to look hodgepodged however I think we’ve done a great job making it a cohesive space! My advice for those moving into your first place is to take your time when decorating – enjoy the process of discovering your style and identifying what you really want and need. Also, don’t be afraid to take some risks (i.e. for me – creating a gallery wall)! Jacquin: Where do you get your decorating inspiration from? Jacquin: What one decorating tip would you give to readers at home? Anna: Enjoy the process of decorating by taking your time and curating furniture and décor that you truly love. Save up and buy good, quality items that are a true reflection of your style. If you’ve enjoyed Anna’s home tour, then you’ll enjoy her blog too! You can visit Anna’s blog here. Also, stay tuned for another great post here on Interiors by Jacquin this Saturday along with a big announcement! Have a great day!